Florida May Soon Allow Licensed Gun Owners To "Open Carry"
On January 1, 2016, Texas will become the next state to allow licensed citizens to openly carry a handgun, this after Texas Governor Greg Abbott signed a bill into law earlier this year that would allow Texans to open carry. As is case with most similar laws, open carry in Texas will have some restrictions, as private businesses will have the right to ban people from flashing their weapon within their individual places of business. Florida is right behind Texas. The father and son legislative duo of Sen. Don Gaetz (R) and Rep. Matt Gaetz (R) have both sponsored open carry bills in their respective legislative chambers within the Florida legislature. 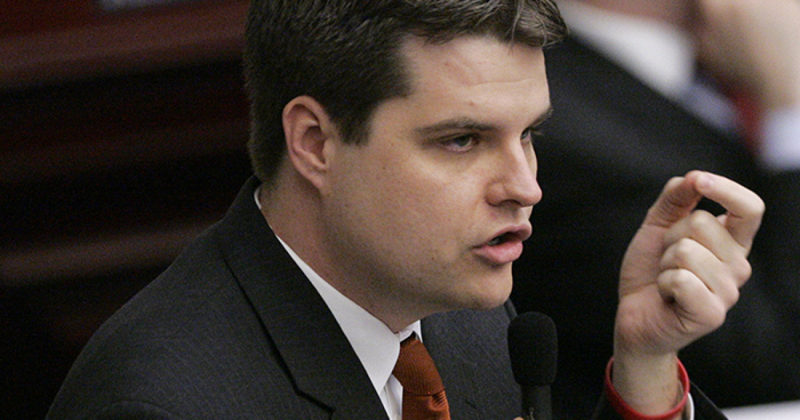 “Junior” Gaetz has seen his HB163 bill pass its first House committee, while papa Gaetz’s SB300 bill has also made it through the House Justice Appropriations Subcommittee. Expect Florida to become the next state after Texas to allow concealed carry license holders to openly carry.